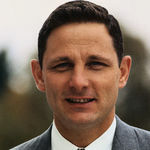 Birch Bayh was a democratic senator from Indiana who was the author of the groundbreaking Title IX amendment that banned discrimination against women in college sports. For full obituary and coverage from Legacy.com, click here. Edward Nixon was the youngest brother of President Richard Nixon and worked on his brother's presidential campaigns in 1968 and 1972. For full obituary and coverage from Legacy.com, click here. 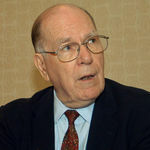 Lyndon LaRouche Jr., a contentious political activist and perennial candidate for U.S. president, died February 12. He was 96. For full obituary and coverage from Legacy.com, click here. 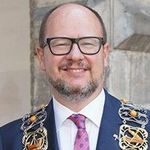 Paweł Adamowicz (1965–2019) was the popular six-term mayor of the city of Gdansk in Poland. He was assassinated during his appearance at a charity fundraiser for the Great Orchestra of Christmas Charity, which raises money for hospital equipment for sick children and elderly patients in Poland. For full obituary and coverage from Legacy.com, click here. Barbara Bush, the former first lady of the United States, died April 17, 2018, at the age of 92, according to multiple news sources. For full obituary from Legacy.com, click here. 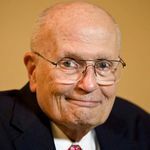 Pete Domenici, former Senator from New Mexico, died Wednesday, Sept. 13, 2017, in Albuquerque, according to The Associated Press. He was 85. For full obituary and coverage from Legacy.com, click here. Martin McGuinness, the former deputy first minister of Northern Ireland, died Tuesday, March 21, 2017, according to multiple news sources. For full obituary and coverage from Legacy.com, click here. Ken Hechler, a former West Virginia congressman and author, died Saturday, Dec. 10, 2016, according to multiple news sources. For full obituary and coverage from Legacy.com, click here. Nobel Peace Prize winner Shimon Peres, a former president and prime minister of Israel, died Sept. 27, 2016. For full obituary and coverage from Legacy.com, click here. Rose Mofford, Arizona's first female governor, died Sept. 15, 2016, according to multiple news sources. She was 94. For full obituary and coverage from Legacy.com,click here. Abner J. Mikva, a former Democratic congressman and federal judge, died July 4, 2016, according to multiple news source. 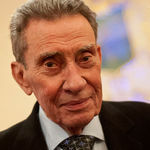 For full obituary and coverage by Legacy.com, click here.